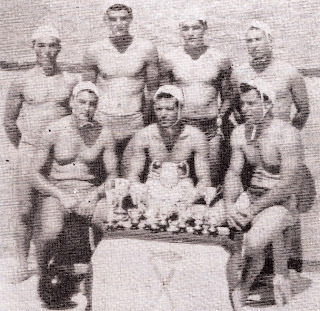 The team of Marsaxlokk, winner of the B’division Championship of Malta in 1957. Standing L-R: K.Camilleri, J.M.Carabott, J.Vella, J.Grech. Seating L-R: F.X.Vella, M.Bugela and C.Carabott.